Lincoln was not assassinated—he was ordered executed by fellow politicians and military leaders because he wanted to welcome the Southern states back into the Union with their full constitutional rights restored. Threatened by this and other possibilities of clemency for the South, Vice-Pres. Andrew Johnson, Secretary of War Edwin Stanton, and the U.S. chief of the National Detective Police, Lafayette Baker, took action to ensure that this would not occur. A chapter is dedicated to the secret papers of Baker and the crucial role he played in Lincoln's murder. Baker’s notes reveal that he worked with Booth to arrange the assassination and outline a widespread conspiracy among politicians and military leaders. This evidence, first published in Civil War Times magazine in 1961, is reproduced here in its entirety, including the actual deciphered text from Baker’s secret notes. 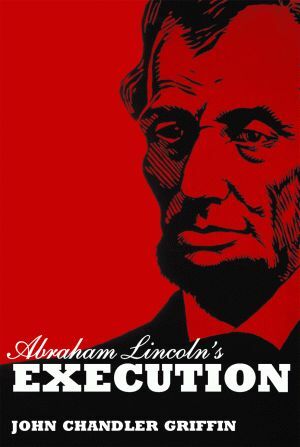 Presenting incriminating evidence against the above conspirators, biographies of lesser-known players in the assassination plot, and John WilkesBooth’s role as a pawn, Abraham Lincoln’s Execution offers new perspectives on the murder that continues to intrigue historians. Details about Stanton’s motivations to replace Cameron as Secretary of War and the facts about Lincoln’s order to amass the Virginia assembly to end military action in Virginia are also presented, shedding new light into one of American history’s darkest corners. A distinguished professor emeritus at the University of South Carolina, Dr. John Chandler Griffin has published over fourteen books, most recently A Pictorial History of the Confederacy. In 2000, Gov. Jim Hodges named him to the Order of the Silver Crescent, South Carolina's highest award.